An EAR is a collection of one or more applications. Select File > New > Enterprise Application Project. 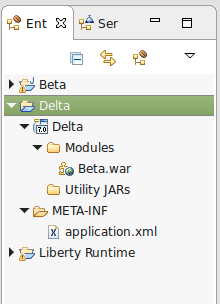 Give the WAR a name, select an appropriate Server Target Runtime, and select Next. 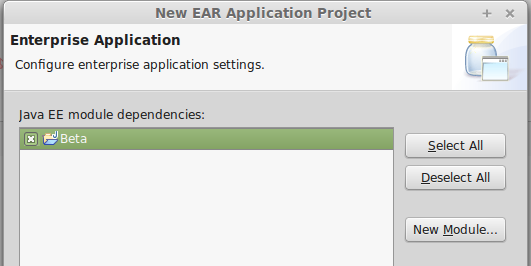 Select the applications that you want included in the EAR, and select Finish. In this example, the Beta application is included in the EAR. After the EAR is created, the applications in the EAR can be seen in the left panel of Eclipse.